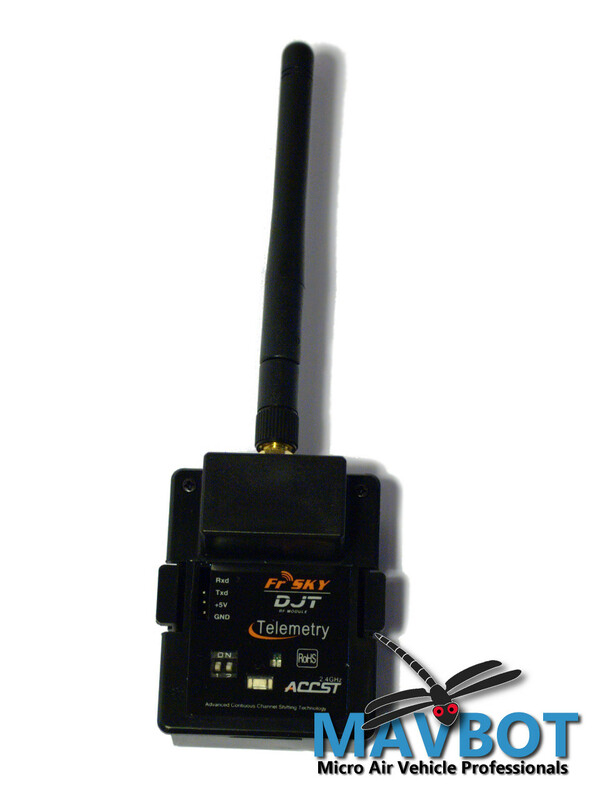 The FlySky TH9X transmitter is a great value in a 2.4 GHz radio. As explained previously, it’s also sold rebranded as the Turnigy 9X, and the Imax 9X, and these radios have proven extremely popular and reliable over the years. The 9X radios do have some drawbacks, but most of them can be addressed with a few easy and cheap upgrades. In this build log we show you how to replace the 9X’s stock RF module with FrSky’s DJT FHSS system. The stock module from FlySky is OK if you’re just controlling park fliers short-range (out to about 500 meters or so), but its Automatic Frequency Hopping Digital System (AFHDS) technology is fairly lacking if you want better range and robustness to interference. The AFHDS basically just searches for a free channel and uses that. Which usually works fine, but it could go disastrously wrong, for example if a new source of external interference arrives after the system has already started up and chosen its transmit channels. The DJT module (Figure 1) by FrSky (pronounced “Free Sky”) is a true Frequency Hopping Spread Spectrum (FHSS) system that continuously jumps between channels so that it cannot be affected by interference on any particular set of channels. With this system and one of FrSky’s “full range” receivers you can expect to get about 1.5 km of range. 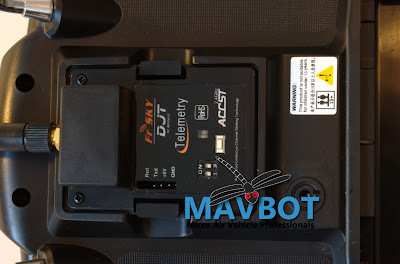 The DJT is also a two-way telemetry system, which means it not only transmits an RC control signal to the aircraft, it also receives telemetry data back, as long as you are using one of FrSky’s telemetry receivers. 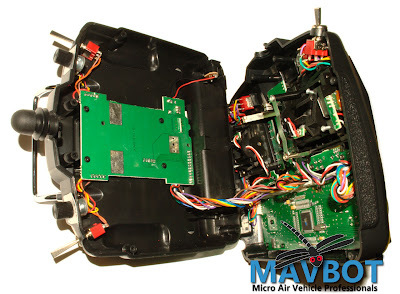 The telemetry data would normally come from sensors connected through a sensor hub to your receiver, such as altitude, GPS position, compass, accelerometer, RPM, temperature, battery level, etc. 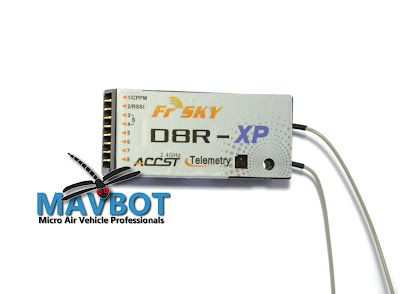 But if you get a FrSky receiver with Received Signal Strength Indication (RSSI), such the D8R-XP (Figure 2), you can make good use of the two-way telemetry feature even without any sensors attached: The DJT module on your Tx will start beeping to warn you when your radio signal is getting low. That way you’ll know when you’re starting to fly too far away, and it’s time to turn back! The FlySky Tx almost fits modules designed to be compatible with JR radios, but unfortunately not quite: in order to change to a non-stock module, you’ll first have to cut down the raised area of plastic that supports the five module pins. This supporting area will need to be cut back until it’s no more than 2.0 mm high (or just cut it away altogether, because once it’s cut back it won’t be doing anything to support the pins anyway). 1. 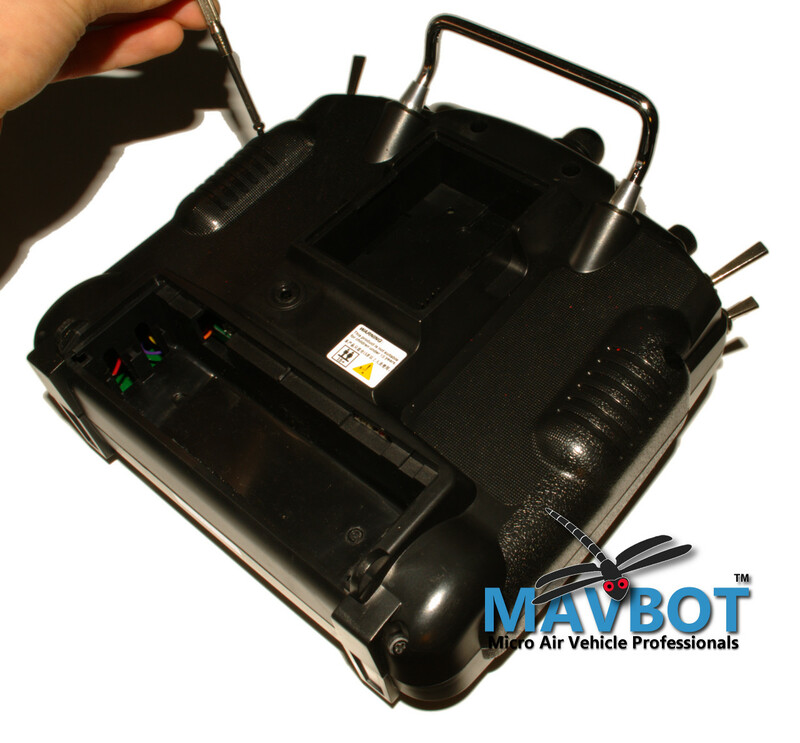 Unplug and remove the battery, and remove the stock module. Once the stock module is out, you’ll see the five pins at the lower right of the module compartment, supported by the raised plastic area. This raised plastic is the only thing getting in the way of installing a new module. 2. Get the pins out of the way. When you’re cutting the raised area of plastic, you’ll want to move the pins themselves out of the way, so as not to damage them. First open the case of your Tx by removing the six screws at the back (Figure 3). Spread the two halves of the case apart carefully and not too far, so you don’t break any wires connecting them (Figure 4). At this point it may be a good idea to take some photos of the circuit boards inside, just in case you do break a wire and need to know where to solder it back again. Now locate the back circuit board, and remove the four screws holding it in place (Figure 5). 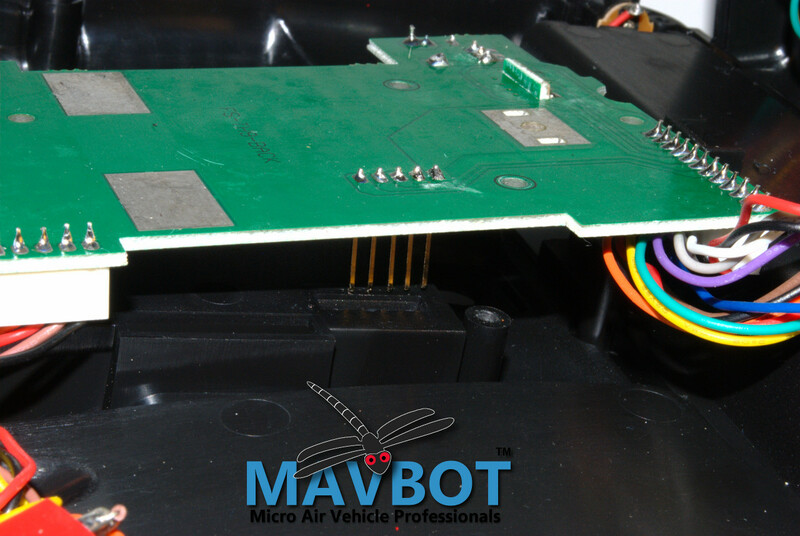 Pull the circuit board back gently, just enough so the five module pins are clear of the back of the radio. The wires that connect it to various switches will prevent you from moving it back very far (Figure 6). 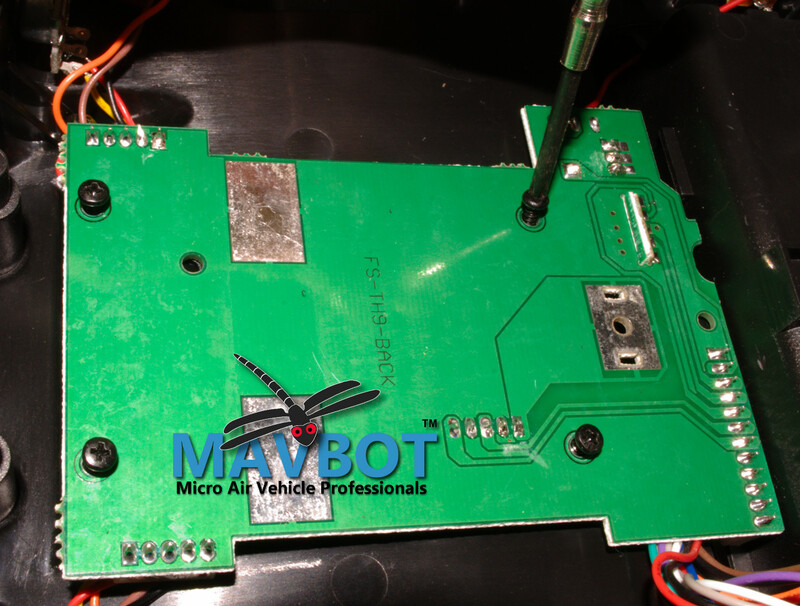 Figure 6: Pull back circuit board to clear module pins away from area you'll be cutting. 3. Cut the plastic support to 2.0 mm high or less. With the module pins completely out of the way, use a very sharp knife, wire cutters, or a power tool like a Dremel to cut back the plastic support area until it is protruding no more than 2.0 mm into the module compartment (Figure 7). 4. Replace the back circuit board and tighten the screws (Figure 8). Only tighten the screws very loosely at first, so the circuit board has some wiggle room to allow you to get the precise alignment for fitting the modules. 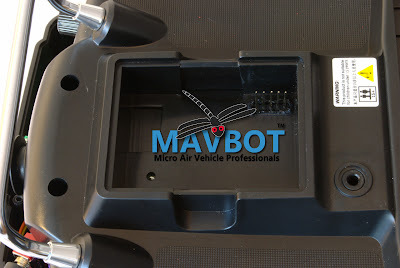 Test insertion of both the stock module and the FrSky module (Figure 9) to make sure they seat easily and without any resistance. If either doesn’t fit, don’t force it, or you could bend or break the pins. The cause is either that the back circuit board is slightly out of alignment, or that you’ve slightly bent one of the pins. 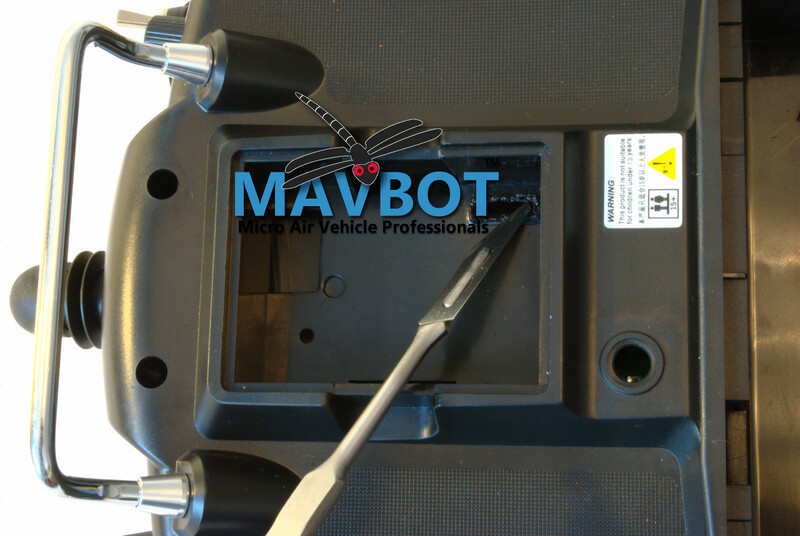 Make sure you repeatedly test the fit of both modules as you gradually tighten the four screws, because the board alignment will shift slightly as the screws tighten. If at any point you find that one or both modules won’t seat completely without resistance, then you’ll have to back the screws out again and start over to get the alignment perfectly correct. 5. Put the Tx case back together again, replacing the six screws. You’ll probably want to blow all the plastic dust you’ve generated out of the unit first though. Again, make sure both modules seat perfectly before putting the case back together. 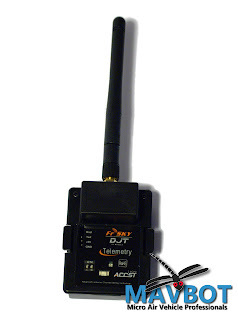 We trust the FrSky DJT module and D8R-XP receiver will work great for you. You’ll get about 1.5 km range, telemetry, including RSSI, as well as a range check mode to make your pre-flight range check easier. I love the fact that the module beeps to tell you when the signal is getting weak, as it gives me great peace of mind to know I always have a strong signal while flying. Using the DJT module and D8R-XP receiver is pretty straightforward. Binding, failsafe, range check, and setting for high-speed or regular servos is explained in the manual. But let us know if you have any questions. Enjoy using your FlySky TH9X radio, now upgraded to the true FHSS system!